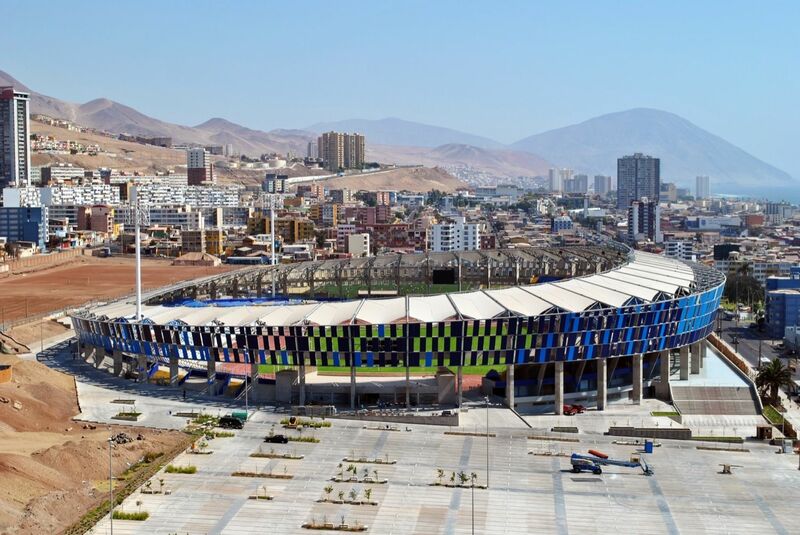 The idea of building a new central stadium in Antofagasta was born in 1955, when Chile was preparing to host the 1962 World Cup. 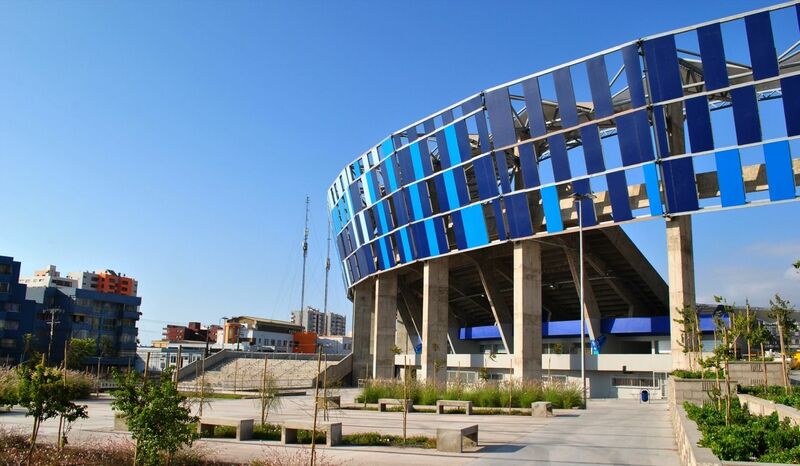 A committee was formed to lobby for the stadium, winning municipality support in 1958. 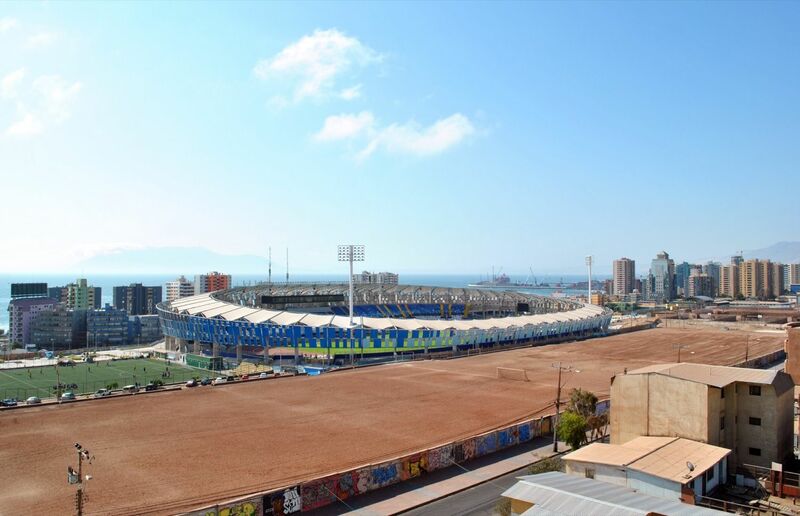 A year later the city bought land, but work hadn't started until early 1961, making Antofagasta lose the World Cup spot to Arica. 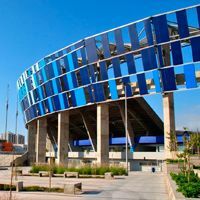 Without the tournament work was cancelled, the committee dissolved and almost all hope for a new stadium lost. 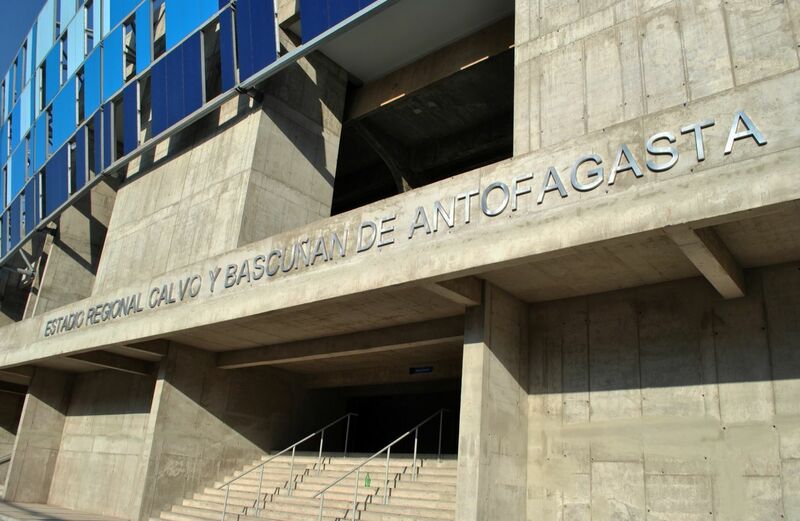 Except for two people: Alberto Calvo and Miguel Bascuñán. 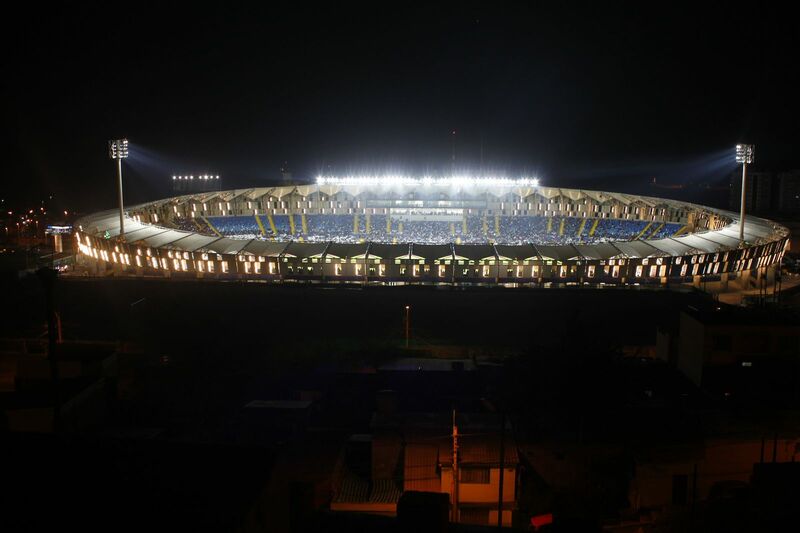 They re-established the committee and managed to gather support and funding to restart work in mid-1962. 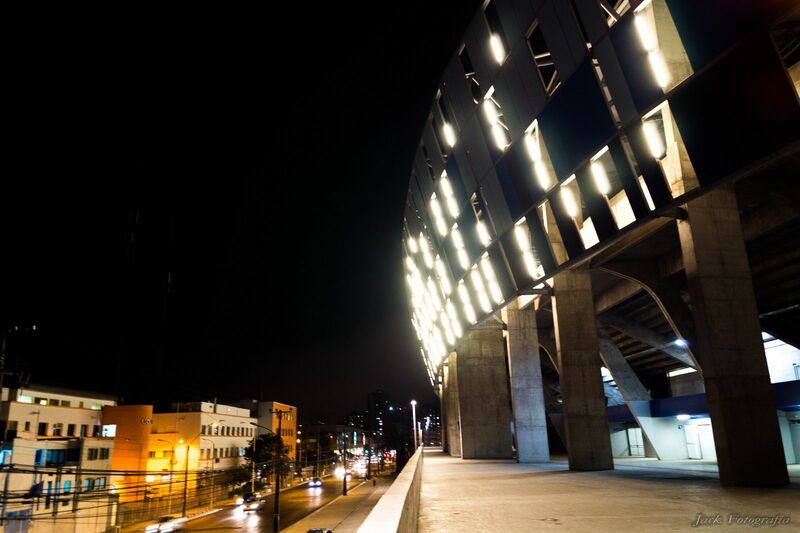 Before that year was over work was abandoned again, but eventually ended in September 1964. 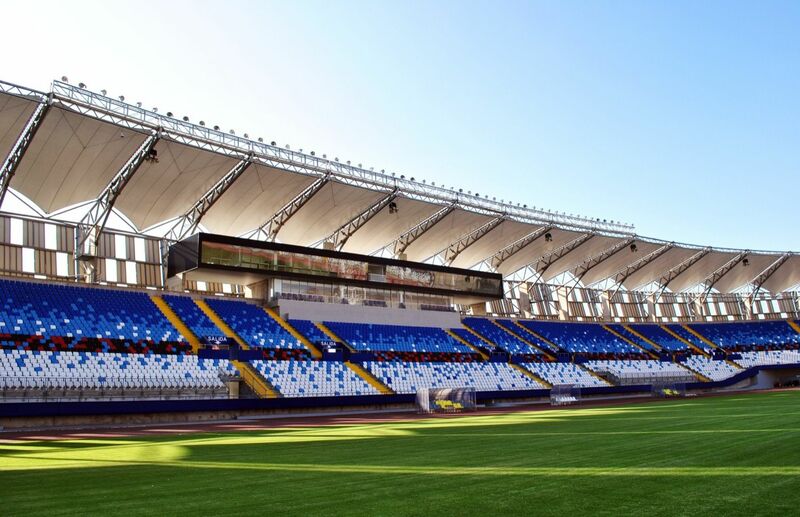 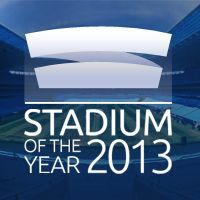 The stadium had part of its stands on land slope and part made with concrete cast on site, all enclosing the football field and running track. 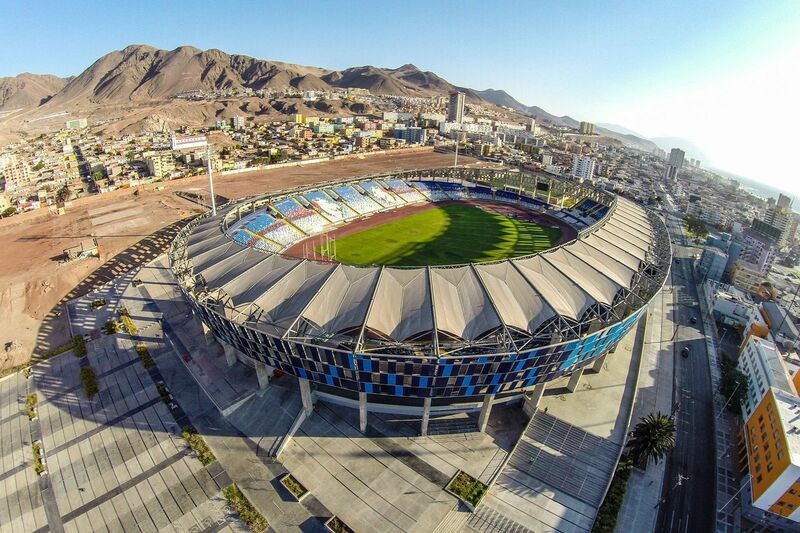 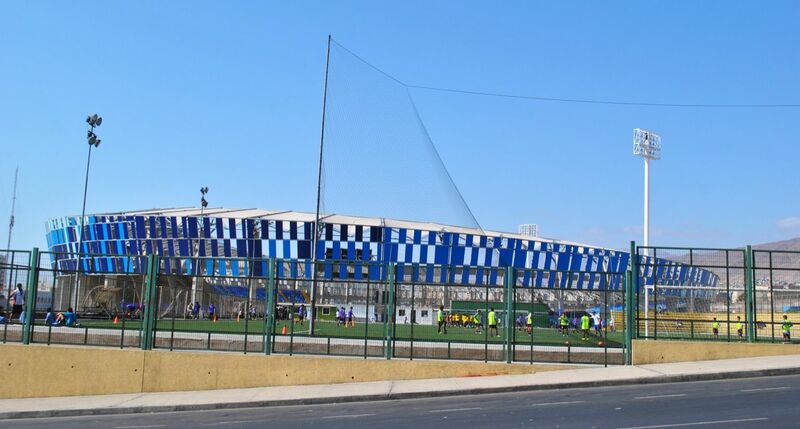 For years the standard of Antofagasta's main stadium was deteriorating, causing a lot of criticism. 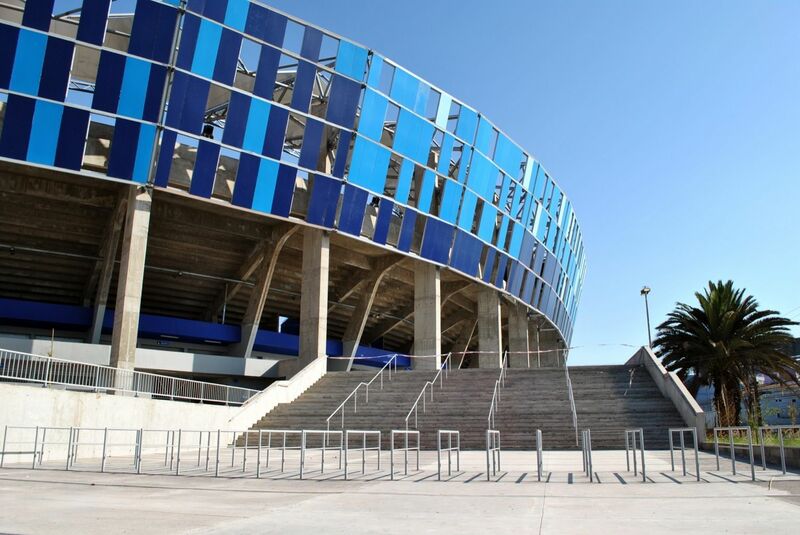 When a major overhaul was approved close, municipality accepted the proposal to rename the stadium, honouring two men without whom it wouldn't have existed in the first place. 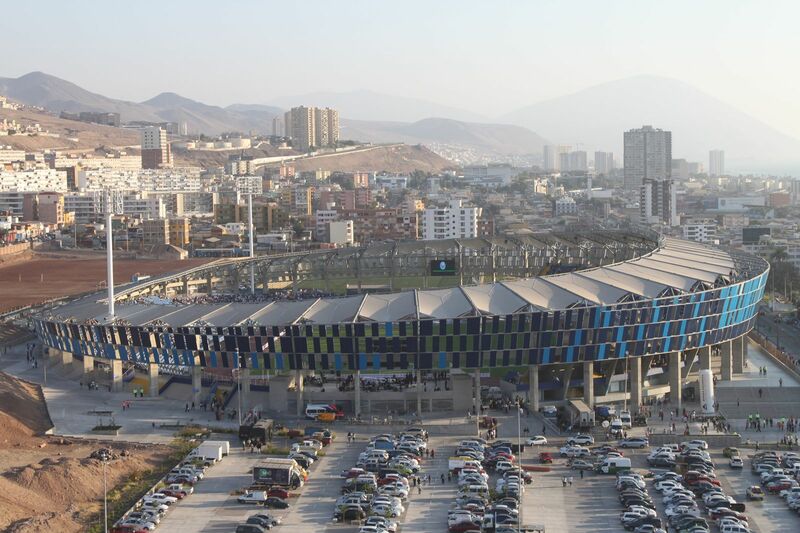 In 2011 a major revamp was approved, expected to be done in late 2012. 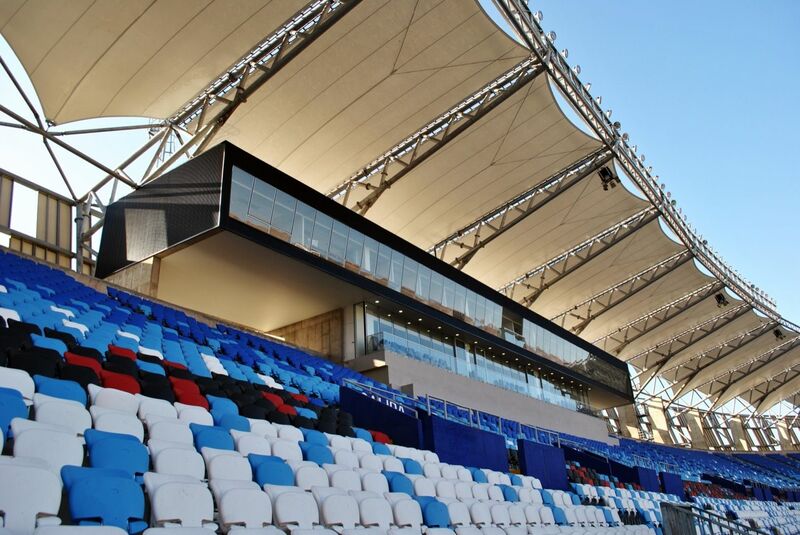 Though works slipped until early 2013, the outcome is a modern stadium that respects initial seating layout and wraps it from the outside in light resin panels and partial membrane roof. 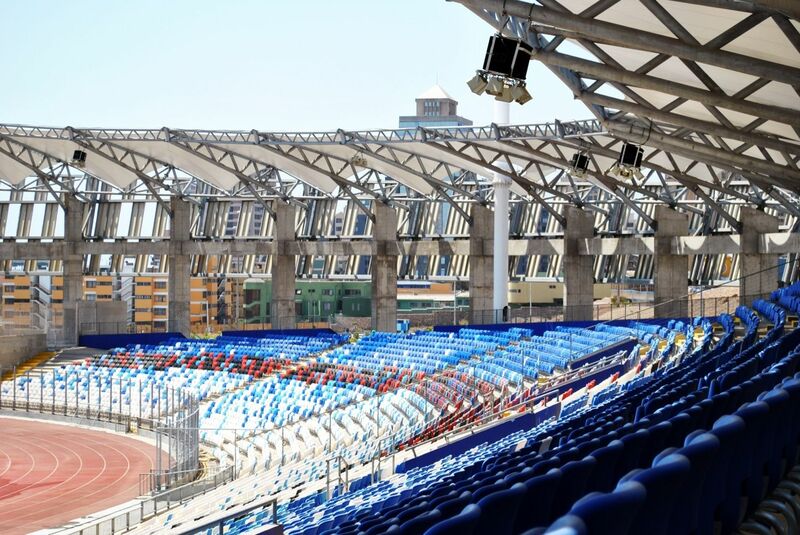 This allows for the stadium to feel almost open from all sides and yet effectively protect fans inside from excessive sunlight. 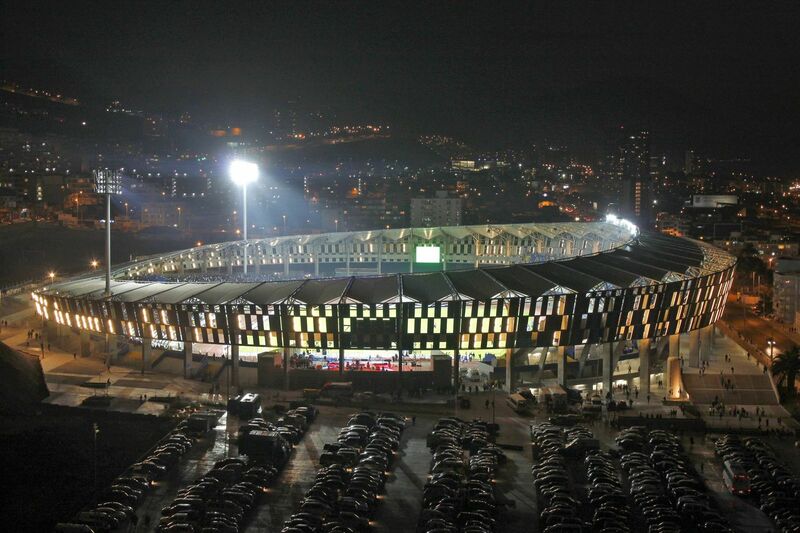 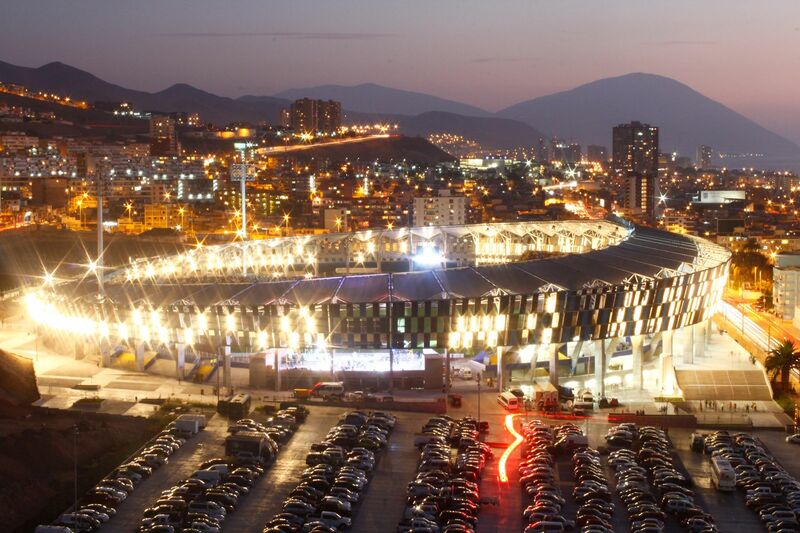 With all work done the stadium was designated to host the 2013 Super Cup, as well as 2013 Copa Sudamericana games. 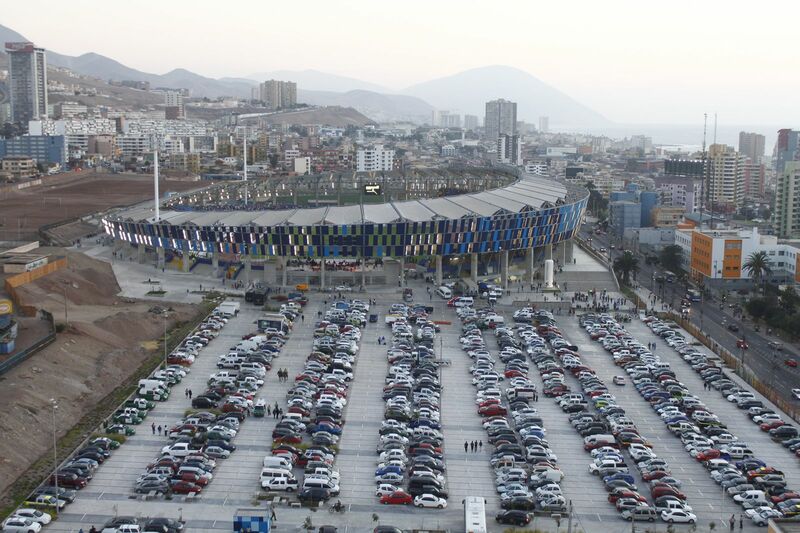 Moreover, it was selected as host for the 2015 Copa America. 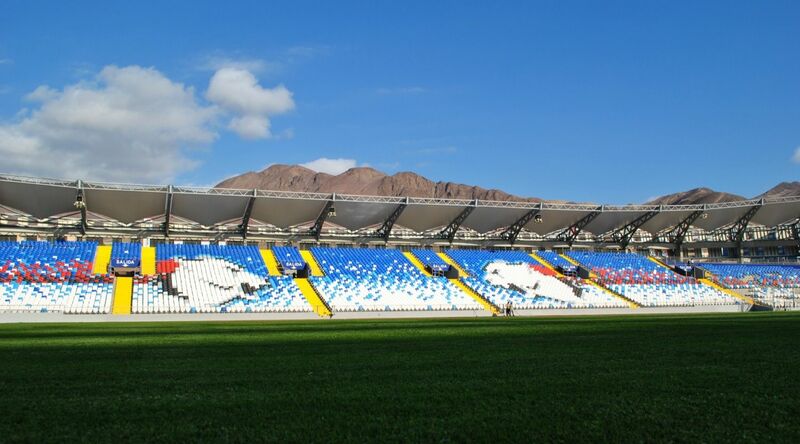 Day-to-day use is provided by CD Antofagasta and Cobreloa clubs, as well as by entertainment events with international stars performing.